The development of underwater gliders started 20 years ago and today there are a number of commercial systems on the market. Their primary field of application was to collect physical parameters of the ocean but since a few years biochemical sensors have been added. Due to their limited power resources and payload capacity there is still a lot of room for development and the idea of optimizing the design for new application areas will be taken up within ROBEX. 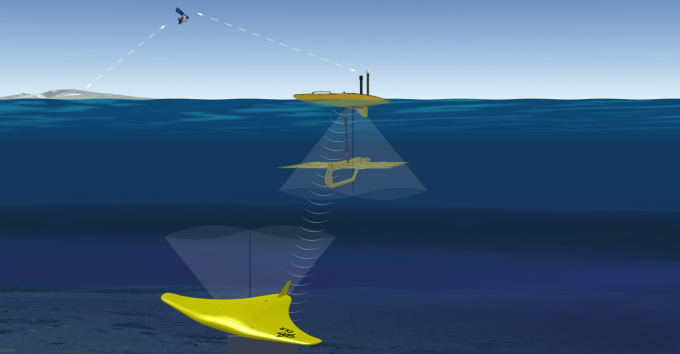 In particular it shall be explored whether gliders can be used as a platform for bathymetric and electromagnetic soundings of the seafloor but there are also ideas on using the platform for new water column investigations. With the expertise within the ROBEX consortium completely new technical concepts can be developed in particular making use of light- weight construction and enhanced operational reliability through aeronautical concepts.